Professor David Hunter is a rheumatology clinician researcher whose main research focus has been clinical and translational research in osteoarthritis (OA). Dr. Hunter is the Florance and Cope Chair of Rheumatology and Professor of Medicine at University of Sydney, and Staff Specialist at Royal North Shore Hospital and North Sydney Orthopaedic and Sports Medicine Centre. 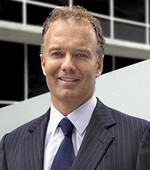 In 2014, he was ranked as the leading expert in the world on osteoarthritis on expertscape.com. A native of New Zealand and an Australian citizen, he earned his Bachelor of Medicine, Bachelor of Surgery, and Master of Sports Medicine at the University of New South Wales. He completed a fellowship in Rheumatology at the Royal Australian College of Physicians, a Masters of Sports Medicine from UNSW, and earned a Masters of Medical Science (Clinical Epidemiology) from the University of Newcastle. He established a full-time career in medical research in 1999, received his Ph.D. in 2001 and then maintained an academic faculty appointment at Boston University. He returned to Australia in 2010. 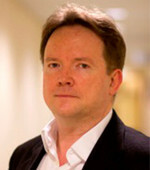 His research is focused on a number of key elements in OA including the epidemiology of osteoarthritis, the application of imaging to better understand structure and function with application to both epidemiologic research and clinical trials, novel therapies in disease management and heath service system delivery of chronic disease management. He is an editor for leading international journals in his field. He has authored books on osteoarthritis and has over 350 publications in peer-reviewed journals. Professor Philip Conaghan, MBBS Ph.D., FRACP, FRCP is Professor of Musculoskeletal Medicine at the University of Leeds and a Rheumatologist for the Leeds Teaching Hospitals NHS Trust. He is a NIHR Senior Investigator Emeritus and Deputy Director of the NIHR Leeds Musculoskeletal Biomedical Research Unit. His research spans early translational studies through large late-phase clinical trials and health services evaluation, with major interests in understanding pathogenesis and therapeutic response for common arthritides. He is co-executive lead of the international outcomes group OMERACT, was inaugural Chair of the EULAR Standing Committee on Musculoskeletal Imaging as well as past-President of the International Society for Musculoskeletal Imaging in Rheumatology. He has twice chaired the UK National Institute for Health and Clinical Excellence (NICE) osteoarthritis clinical guidance. For Arthritis Research UK, he has chaired the Osteoarthritis Clinical Studies Group since its inception in 2007, and is Director of an Experimental OA Treatment Centre. He is on a number of journal editorial boards, is co-editor of the most recent Oxford Textbook of Rheumatology and has authored over 450 publications as original research, reviews and book chapters. 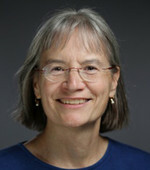 Dr. Virginia Byers Kraus, M.D., Ph.D., is Professor of Medicine and Adjunct Professor of Pathology and Orthopaedic Surgery at the Duke University School of Medicine. Dr. Kraus is a practicing Rheumatologist with 20 years' experience in Osteoarthritis research. She trained at Brown University, Duke University, and Duke University Medical Center Her career has focused on elucidating osteoarthritis pathogenesis and translational research into the discovery and validation of biomarkers for early osteoarthritis detection, prediction of progression, and monitoring of disease status. She also served as the President of the Osteoarthritis Research Society International (OARSI, 2013-2015). 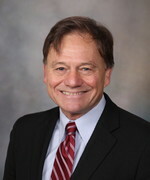 Dr. Chris H. Evans is currently Director, Rehabilitation Medicine Research Center, at the Mayo Clinic and Professor of Orthopaedic Surgery, Physical Medicine and Rehabilitation at Mayo Clinic. Dr. Evans is also Maurice Edmond Mueller Professor of Orthopedic Surgery at Harvard Medical School. The author of more than 300 papers, Dr. Evans undertakes translational research devoted to the development of clinically useful gene therapies for arthritis and the regeneration of bone and cartilage. In collaboration with Paul Robbins, he developed the first gene therapy clinical trial for rheumatoid arthritis. 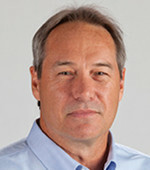 Dr. Evans’ research has been recognized by numerous awards including the Kappa Delta Award of the American Academy of Orthopedic Surgeons, the Henry Kunkle Award of the American College of Rheumatology, the Osteoarthritis Research Prize of The Osteoarthritis Research Society International, and the 2010 Arthur Steindler Award. Dr. Evans is also a Past-President of the Orthopedic Research Society and is a Fellow of both the Royal Society of Chemistry and the Royal College of Pathologists. He obtained a B.S. in Genetics & Microbiology, a Ph.D. in Biochemistry, and a D.Sc. from the University of Wales, Great Britain, as well as an M.A. in the History & Philosophy of Science from the University of Pittsburgh. Dr. Paul Robbins is currently a Professor in the Department of Metabolism and Aging at The Scripps Research Institute and was previously a Professor of Microbiology and Molecular Genetics and Orthopedic Surgery at the University of Pittsburgh, School of Medicine. Dr. Robbins also serves as the Director of the Vector Core Facility and Director of Basic Research for the Molecular Medicine Institute. He was an Associate Editor for Cancer Research and Gene Therapy and is currently on the Editorial Boards for Cancer Gene Therapy, Human Gene Therapy, Gene Therapy, The Journal of Gene Medicine, Arthritis Research, and Genes & Immunity. Dr. Robbins has co-authored over 280 peer-reviewed manuscripts and 150 book chapters and reviews and has edited three books on gene therapy. He was a member of the NIH PathB Study Section, Chair of the Italian Telethon Scientific Review Committee, a member of the Board of Directors of the American Society of Gene Therapy, as well as former Chair of the American Society of Gene Therapy Committee on Musculoskeletal Diseases. He is also a member of the Scientific Advisory Boards for Orthogen and Engene. Dr. Robbins received his B.A. from Haverford College and his Ph.D. from the University of California at Berkeley and worked as a post-doctoral fellow at the Whitehead Institute for Biomedical Research at the Massachusetts Institute of Technology. Dr. Henning Madry, M.D. is a clinician-scientist and a tenured Professor and Chair of Orthopaedic Research at Saarland University in Germany. Dr. Madry received his M.D. from Humboldt University, Berlin, under the mentorship of Detlev Ganten, M.D., Ph.D. His postdoctoral research fellowship was at Harvard Medical School in Boston, with Steven B. Trippel, M.D. at the Massachusetts General Hospital and at Massachusetts Institute of Technology in Cambridge, with Gordana Vunjak-Novakovich, Ph.D. He is the Founding Editor-in-Chief of the Journal of Experimental Orthopaedics, the basic science journal of the European Society for Sports Traumatology, Knee Surgery and Arthroscopy (ESSKA). Prof. Dr. Madry has significant expertise in knee osteoarthritis with a focus on translational orthopedic research. His research program translates novel molecular, cell biology and tissue engineering approaches into clinical applications in orthopedic surgery with a focus on osteochondral regeneration. Dr. Michael A. Mont is a board-certified orthopedic surgeon who specializes in the diagnosis and treatment of joint pain in teens and adults due to joint degeneration, complex bone and joint disorders, avascular necrosis, hip, knee, shoulder and ankle injuries. Dr. Mont is currently the Chairman of Orthopaedics at Cleveland Clinic Orthopaedics & Rheumatologic Institute. Dr. Mont earned his medical degree is from the University of Pennsylvania School of Medicine. 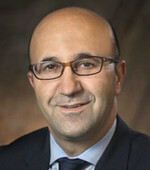 He completed his orthopedic residency at Mount Sinai Medical Center, New York, and received his fellowship training in reconstructive surgery at The Johns Hopkins Medical Institutions where he specialized in complex total joint revisions and actively participated in different clinical research studies in the area of total joint replacement. Dr. Mont served as an associate professor at Johns Hopkins and continues to teach and perform research. He has published over 400 articles and book chapters on various aspects of joint reconstruction. Dr. Mont is involved in multiple professional societies including the Knee Society, Hip Society and the National Osteonecrosis Foundation. 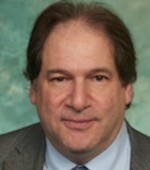 He is on the board of editors of multiple journals including the Journal of Bone and Joint Surgery, and he has received multiple research grants. Dr. Javad Parvizi is a board-certified orthopedic surgeon specializing in pelvis, hip, and knee reconstruction with a special interest in hip pain in young adults and joint preservation procedures. Dr. Parvizi is the Director of Clinical Research at the Rothman Institute and Associate Professor, Department of Orthopedic Surgery, Jefferson Medical College, Thomas Jefferson University in Philadelphia. Dr. Parvizi completed his medical training in the United Kingdom graduating from University of Sheffield in 1991. He completed his surgical training at the Mayo Clinic in Rochester, MN and fellowship training with Professor Reinhold Ganz in Inselspital, Switzerland. His training also includes a master's degree from the Mayo Foundation in Molecular Biology that involved evaluating bone healing and cartilage repair. Dr. Parvizi is a member of various societies including the American Academy of Orthopedic Surgeons and the Orthopedic Research Society. He is actively involved in basic science research particularly related to Smart Self-Protective Implants that resist infection. Dr. David Romness is a board-certified orthopedic surgeon specializing in the treatment of hip and knee disorders and joint replacement joint replacement including advanced bearing surfaces, computer guidance, small incision surgery, and advanced rehab techniques. Dr. Romness currently serves as the Vice-Chairman of the Department of Orthopedic Surgery at Virginia Hospital Center. He earned his medical degree from Eastern Virginia Medical School after graduating with a B.S. from the University of Richmond and completed his surgical and orthopedic training at the Mayo Clinic in Rochester, MN. A past president of both the Virginia and Washington Orthopedic Societies, Dr. Romness is active in a number of professional medical organizations. Dr. Romness has published multiple peer review articles and been named a recipient of the Kenmore Award for Resident Education at Georgetown University Medical Center where he serves as a clinical Assistant Professor for residents and medical students.